Also, after writing my post last week on Should Guide Runners Receive a Medal Too I’ve been thinking how I’d really like to get involved with helping blind people in sports so if you’ve got any tips or advice let me know! 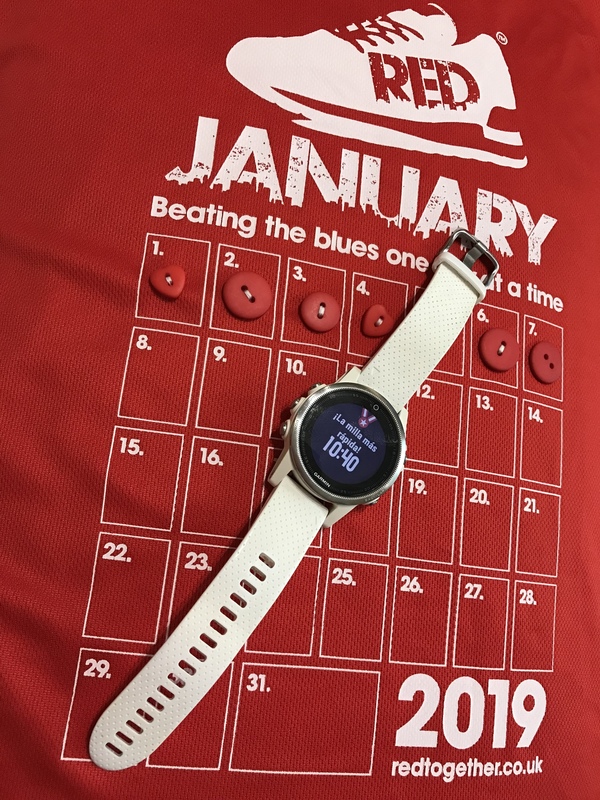 RED Day 7 >>> 1.1 miles >>> What day/ year is it again? I did not want to go out for tonight’s run, I left work later than normal and got stuck in traffic so I lost an hour of my evening. As is customary for me, I ate 4 Quality Street chocolates and a banana, put my big girl pants on and went out. I programmed 1k into my watch but I really wanted to make it to a mile so I did push a little further. There I was feeling all accomplished and came home to eat dinner and watch Silence of the Lambs… Clarice sure is a good trail runner she needs to give me some tips! I feel like I’m getting sick though (if you know me I’m always sick so this is nothing new). I feel hot one minute then cold and I have a runny nose and a scratchy throat… this can’t stop me from completing the challenge! Managed another fastest mile! Only another 2:40 to take off my best PB… off to sew another button on BRB (I may or may not have stabbed myself in the hand many times during this challenge… 7 minimum). I had a terrible night sleep last night and had a headache when I got home from work. I put dinner in the oven which gave me half an hour to go out and get back. Except I put my trainers on and sat on the sofa for 15 minutes and nearly fell asleep! Run was uneventful, highlights included nearly being run over on a pedestrian crossing (because the rules of the road don’t apply to everyone), meowing hello back to a cat and running a little faster when I got it in my mind someone was following me (thanks to yesterday’s Silence of the Lambs). When it’s 2 degrees outside and it’s so so warm indoors, how do you drag yourself out to go for a run? 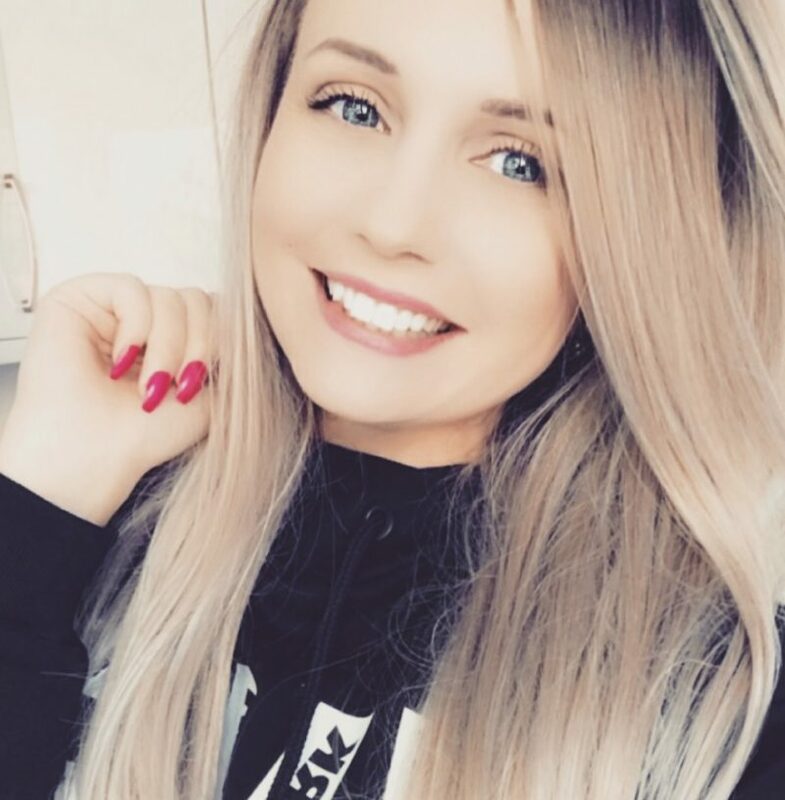 What I do is procrastinate by doing many things I don’t want to do less than I want to go out for a run and finally run out of things to do and then finally get out there! I decided to do my usual mile run route backwards. At first, it felt exhilarating like a brand new route! It wasn’t quite so exhilarating when I was running the wrong way down my usual pathway and because it was so dark and I didn’t know the path, I kept veering off into the grass. The lights from cars driving past were making me lose my bearings and my eyes were playing tricks on me. I felt like I wanted to run a little further than a mile but my knees were really painful and I’d put the oven on before I left so I felt like I should head back. In other news! 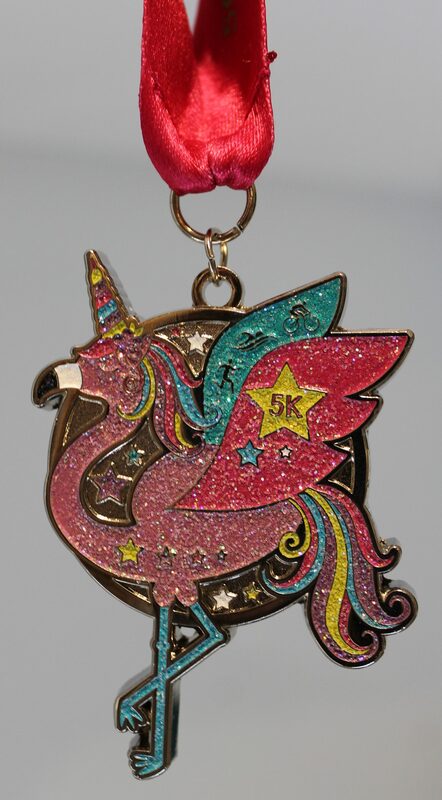 I received my Flamincorn 5k virtual medal today and it’s so pretty and sparkly and I wanted to wear it on my run for some motivation but I was worried I might knock my teeth out! The medal was delivered really quickly, I ran my 5k on Sunday and submitted it that afternoon via www.virtualracinguk.co.uk. 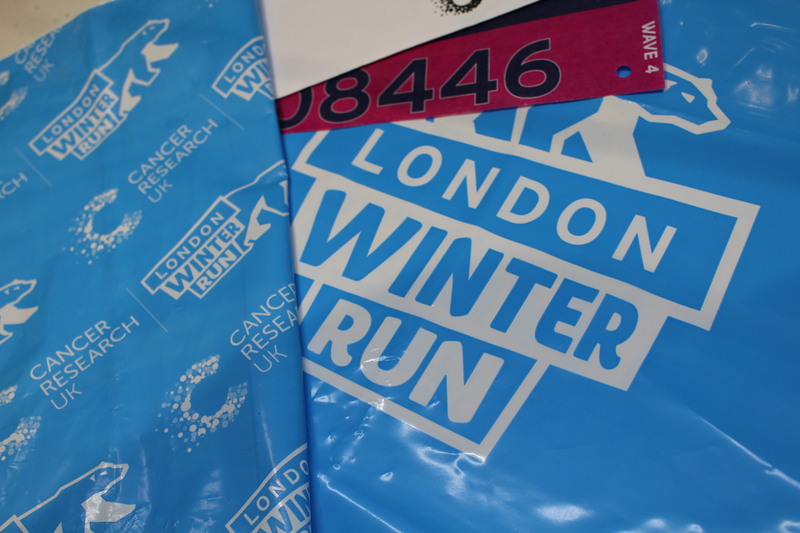 In even more news, I also received my race pack for the London Winter 10k, which is going to be a logistical nightmare to get to and I really didn’t think this through properly. I originally only signed up because I thought the medal was awesome (thanks Instagram for giving me medal envy). So, an unpleasant side effect that I’ve been experiencing since day 6 of RED January is stomach pains. They come on shortly after I’ve completed my run and continue through the evening until I go to sleep at night. Then by the next morning, I feel absolutely fine, until after my run again the next day. I’ve been running consistently now for about 2 years and I’ve trained for half marathons, trail runs, dozens of 10ks, I’ve done races back to back in one weekend multiple times and I’ve never experienced this before. To say it’s annoying is an understatement! If they could just go away now, that would be great, thanks so much. What a great run I had tonight! I think it had a lot to do with my playlist which was an old running Spotify playlist I had and I forgot just how great some of those tunes were! Obviously, there was ‘Who Run The World’ which gave me the opportunity to run and sing at the same time! If you’ve been running for a while you’ll know that some days are like this. Other days you’ll feel like the worst runner ever and feel like giving up but it’s these days that make it worthwhile. So I highly recommend if your motivation is a little low, throw on your favourite music and get out there I guarantee you won’t regret it. This also lead to a January PB mile time of 9:34 which is by far the fastest mile I’ve run so far in this challenge! I didn’t finish work until sooooo late today and I accidentally ate an entire bag of M&Ms on the journey home. I’m sure this isn’t why you started reading this blog to hear about all of my bad snack habits but yet here I am sharing them anyway. Not the M&Ms they’re all mine I’m not sharing those! 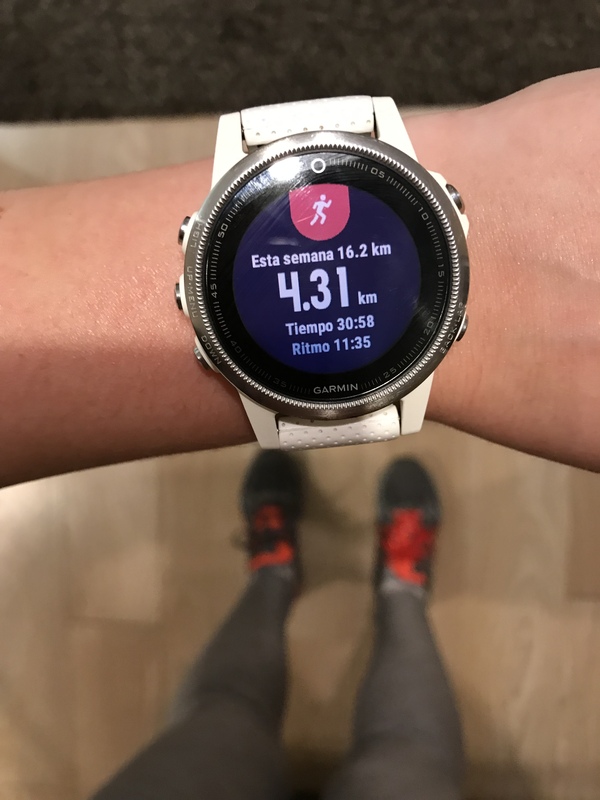 I think this is my shortest run EVER, including the time I took my Labrador out and she pulled me to the ground when she saw another dog just around the corner from my house and we turned around and came back home, but I didn’t get out until 9pm. 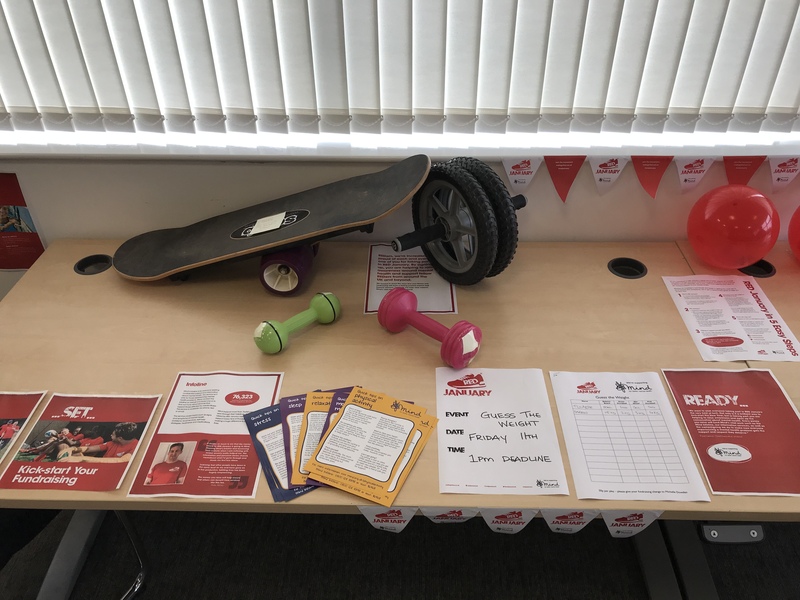 Today we had our first RED January event at work but it wasn’t overly successful, unfortunately. We played ‘Guess the Weight’ and had some fitness equipment for people to estimate how much it all weighed. The prize was a shiny gold medal (obviously 100% real) and we tried to put the emphasis on the awareness/ charity aspect rather than the ‘winning something’ aspect. Next week we are going to run a plank and hula hoop challenge so fingers crossed we’ll get more people involved! Later in the evening, even though I’m a proper grown up, I still like to learn the dance routines to music videos. I’ve done this as long as I can remember the first one being PJ & Duncan Let’s Get Ready to Rhumble but some of my most recent favourites are Justin Bieber’s Sorry and Kiesza’s Hideaway. What can I say, I love music and I love dancing and you’re never too old for that! Ok, so today didn’t go exactly to plan. I’ve been suffering this week, mostly while at work, with palpitations and no amount of Badger Sleep Balm and breathing has been helping. Here’s the link to the Badger Sleep Balm I absolutely love the smell of it as it’s very calming to me. In the spirit of RED January, I’ve been walking at lunchtime and I can tell you, it helps a ton. Anyway, I didn’t go out for today’s run until 8pm and I ran in my pyjamas (they look like leggings so I feel like I could get away with it when it’s dark)! I pre-ran a bath before I left and made a cup of peppermint tea for when I got back so I had something great to look forward to. I grabbed my torch and just went out and ran as far as I felt happy with. Obviously being January, it was pitch black but I feel pretty safe in my neighbourhood but I also love watching horror films which isn’t particularly conducive to happily running alone and feeling like I wouldn’t be kidnapped or some creature wearing a mask might kill me… You’ve got to pick your battles I guess. Nothing much eventful about today’s run, I did a walk warm up for around 3 mins. My knees were giving me a little bit of trouble at the start but it soon eased off. The worst part about today’s run was my calves. I did a little walk on an incline and it really knocked my calves for 6. I had trouble getting running so I had to do some stretches before I could get running again. The wind wasn’t particularly in my favour on the last mile but it wasn’t cold so that was something. Followed up my run with a nice dairy-free butter crisp sandwich! While I’m not particularly happy with my overall mileage this week I am happy that I went out every day even if it was at 9pm some nights! I want to try and avoid injury though so I think keeping the mileage low might be a smart idea. 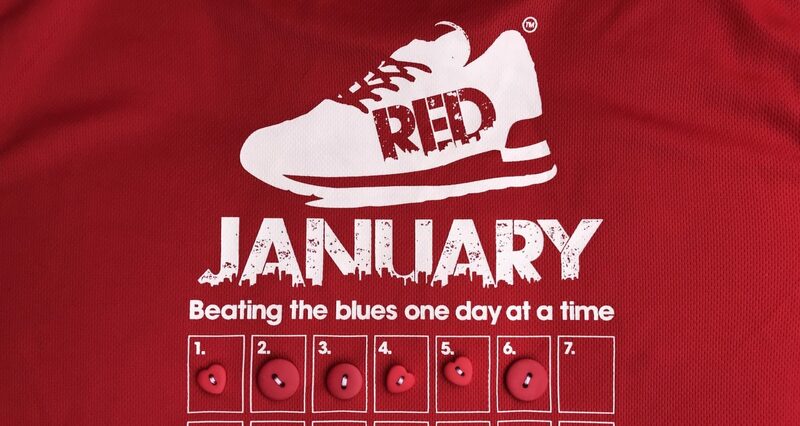 If you’re taking part in RED January, how have you found this week? What has been motivating you to go out every day? Well done for running every day – I take my hat off to you. 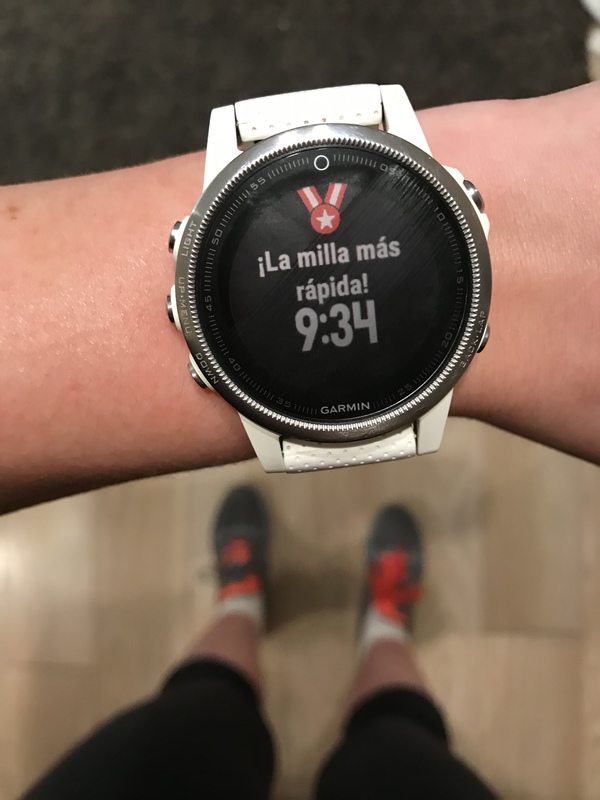 I’m managing something active every day, but I don’t think I’m ready for daily running yet. Next year!